Spyderco Paramilitary 2 is a folding knife designed by the Colorado based company – The Spyderco. 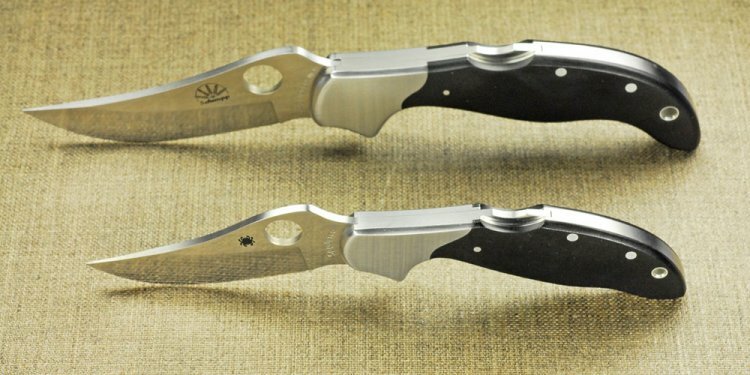 The Spyderco is the most favorite and popular brand among knife connoisseurs due to the high level of dedication they pour into their craftsmanship. The urge for innovation and the perfect equilibrium they maintain between performance and feasibility is rather amazing and plays a major role in the success of the brand. The Spyderco Para Military – 2 is slightly a little larger than the mid-sized EDC. It measures around 8.3 inches as a whole. Its exceptional full flat ground plain edged blade is factory-made with the extraordinary S304 Steel. The blade being the most vital feature of the knife, utmost care is given to keep up its quality and class. The blade comes with a length of around 3.4 inches, thickness of 0.15 inches and has a cutting edge of a little over 3 inches. Next coming to the handle, it is the important feature that gives the user the actual grip while using it. It is made using the most apt G-10 material and it measures around 4.8 inches in length and has a thickness of 0.5 inches. It comes with stainless steel skeletonized liners. The Paramilitary 2 is actually not that very heavy and offers ease to the holder weighing just around 3.75 ounces. It actually keeps up the Spyderco legacy of offering the stability, firmness and the trademark feature of Spyderco – the thumbhole. The main feature that gives Spyderco paramilitary an edge over its competitors is undoubtedly the quality and the design, which is perfectly blended into a wonderful product that delights its users. The moment the individual touches and does his first cut, he definitely understands that it is not just any ordinary pocketknife. The quality of the knife, its practicability, its design and lots more in line all of them speak for the product. The thumb ramp and finger coils are just perfectly made and make the user comfortable to use it. The blade is perfectly flat and is placed just right in the center. The larger spydie hole that permits opening with gloved hands. High Quality blade with high quality steel made of CPM – S304 stainless steel.